Jul 30 – St Peter Chrysologus, (380-450 AD), Bishop & Doctor of the Church, Doctor Homiliis/Doctor of Homilies, “Golden Speech” | ADULT CATECHESIS & CHRISTIAN RELIGIOUS LITERACY IN THE ROMAN CATHOLIC TRADITION: hosting ONLY True Christians!! !, or "How to think Catholic!!" 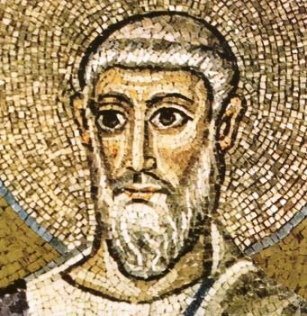 On July 30, the Catholic Church celebrates Saint Peter Chrysologus, a fifth-century Italian bishop known for testifying courageously to Christ’s full humanity and divinity during a period of doctrinal confusion in the Church. 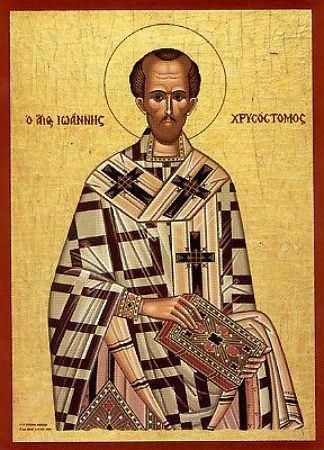 The saint’s title, Chrysologus, signifies “golden speech” in Greek. Named as a Doctor of the Church in 1729, he is distinguished as the “Doctor of Homilies” for the concise but theologically rich reflections he delivered during his time as the Bishop of Ravenna. His surviving works offer eloquent testimony to the Church’s traditional beliefs about Mary’s perpetual virginity, the penitential value of Lent, Christ’s Eucharistic presence, and the primacy of St. Peter and his successors in the Church. Few details of St. Peter Chrysologus’ biography are known. He was born in the Italian town of Imola in either the late fourth or early fifth century, but sources differ as to whether this occurred around 380 or as late as 406. Following his study of theology, Peter was ordained to the diaconate by Imola’s local bishop Cornelius, whom he greatly admired and regarded as his spiritual father. Cornelius not only ordained Peter, but taught him the value of humility and self-denial. The lessons of his mentor inspired Peter to live as a monk for many years, embracing a lifestyle of asceticism, simplicity, and prayer. His simple monastic life came to an end, however, after the death of Archbishop John of Ravenna in 430. After John’s death, the clergy and people of Ravenna chose a successor and asked Cornelius, still the Bishop of Imola, to journey to Rome and obtain papal approval for the candidate. Cornelius brought Peter, then still a deacon, along with him on the visit to Pope Sixtus III. Tradition relates that the Pope had experienced a vision from God on the night before the meeting, commanding him to overrule Ravenna’s choice of a new archbishop. The Pope declared that Peter, instead, was to be ordained as John’s successor. In Ravenna, Peter was received warmly by the Western Roman Emperor Valentinian III, and his mother Galla Placidia. She is said to have given him the title of “Chrysologus” because of his preaching skills. Throughout the archdiocese, however, he encountered the surviving remnants of paganism along with various abuses and distortions of the Catholic faith. Peter exercised zeal and pastoral care in curbing abuses and evangelizing non-Christians during his leadership of the Church in Ravenna. One of the major heresies of his age, monophysitism, held that Christ did not possess a distinct human nature in union with his eternal divine nature. Peter labored to prevent the westward spread of this error, promoted from Constantinople by the monk Eutyches. The Archbishop of Ravenna also made improvements to the city’s cathedral and built several new churches. Near the end of his life he addressed a significant letter to Eutyches, stressing the Pope’s authority in the monophysite controversy. Having returned to Imola in anticipation of his death, St. Peter Chrysologus died in 450, one year before the Church’s official condemnation of monophysitism. He is credited as the author of around 176 surviving homilies, which contributed to his later proclamation as a Doctor of the Church. A man who vigorously pursues a goal may produce results far beyond his expectations and his intentions. Thus it was with Peter of the Golden Words, as he was called, who as a young man became bishop of Ravenna, the capital of the empire in the West. At the time there were abuses and vestiges of paganism evident in his diocese, and these he was determined to battle and overcome. His principal weapon was the short sermon, and many of them have come down to us. They do not contain great originality of thought. They are, however, full of moral applications, sound in doctrine and historically significant in that they reveal Christian life in fifth-century Ravenna. So authentic were the contents of his sermons that, some 13 centuries later, he was declared a doctor of the Church by Pope Benedict XIII. He who had earnestly sought to teach and motivate his own flock was recognized as a teacher of the universal Church. In addition to his zeal in the exercise of his office, Peter Chrysologus was distinguished by a fierce loyalty to the Church, not only in its teaching, but in its authority as well. He looked upon learning not as a mere opportunity but as an obligation for all, both as a development of God-given faculties and as a solid support for the worship of God. Quite likely, it was St. Peter Chrysologus’s attitude toward learning that gave substance to his exhortations. Next to virtue, learning, in his view, was the greatest improver of the human mind and the support of true religion. Ignorance is not a virtue, nor is anti-intellectualism. Knowledge is neither more nor less a source of pride than physical, administrative or financial prowess. To be fully human is to expand our knowledge—whether sacred or secular—according to our talent and opportunity. “I appeal to you by the mercy of God. This appeal is made by Paul, or rather, it is made by God through Paul, because of God’s desire to be loved rather than feared, to be a Father rather than a Lord. God appeals to us in His mercy to avoid having to punish us in His severity. Listen to the Lord’s appeal: In me, I want you to see your own body, your members, your heart, your bones, your blood. You may fear what is Divine, but why not love what is human? You may run away from Me as the Lord, but why not run to Me as your Father? Perhaps you are filled with shame for causing My bitter passion. Do not be afraid. This cross inflicts a mortal injury, not on Me, but on death. These nails no longer pain Me, but only deepen your love for Me. I do not cry out because of these wounds, but through them I draw you into My heart. My body was stretched on the cross as a symbol, not of how much I suffered, but of My all-embracing love. I count it no less to shed My blood: it is the price I have paid for your ransom. Come, then, return to Me and learn to know Me as your Father, who repays good for evil, love for injury, and boundless charity for piercing wounds. How marvelous is the priesthood of the Christian, for he is both the victim that is offered on is own behalf, and the priest who makes the offering. He does not need to go beyond himself to seek what he is to immolate to God: with himself and in himself he brings the sacrifice he is to offer God for himself. The victim remains and the priest remains, always one and the same. Immolated, the victim still lives: the priest who immolates cannot kill. Truly it is an amazing sacrifice in which a body is offered without being slain and blood is offered without being shed. The Apostle says: I appeal to you by the mercy of God to present your bodies as a living sacrifice. Brethren, this sacrifice follows the pattern of Christ’s sacrifice by which He gave His body as a living immolation for the life of the world. He really made His body a living sacrifice, because, though slain, He continues to live. In such a victim death receives its ransom, but the victim remains alive. Death itself suffers the punishment. This is why death for the martyrs is actually a birth, and their end a beginning. Their execution is the door to life, and those who were thought to have been blotted out from the earth shine brilliantly in heaven. Paul says: I appeal to you by the mercy of God to present your bodies as a sacrifice, living and holy. The prophet said the same thing: Sacrifice and offering you did not desire, but you have prepared a body for me. Each of us is called to be both a sacrifice to God and his priest. gird yourself with the belt of chastity. let the on your forehead be your unfailing protection. Your breastplate should be the knowledge of God that He Himself has given you. Keep burning continually the sweet smelling incense of prayer. Let your heart be an altar. Clothe me with the garment of sanctity. Gird me with the cincture of chastity. always ascend on high. Amen.